Faron Young performs "Crutches"live on Hee Haw 1979. 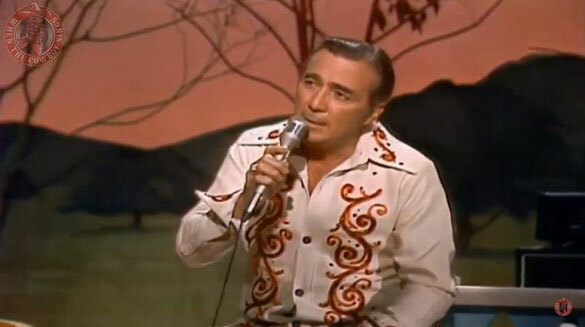 Faron Young (February 25, 1932 – December 10, 1996) was an American country music singer and songwriter from the early 1950s into the mid-1980s and one of its most successful and colorful stars. Hits including "If You Ain't Lovin' (You Ain't Livin')" and "Live Fast, Love Hard, Die Young" marked him as a honky-tonk singer in sound and personal style; and his chart-topping singles "Hello Walls" and "It's Four in the Morning" showed his versatility as a vocalist. Known as the Hillbilly Heartthrob, and following a movie role, the Young Sheriff, Young's singles reliably charted for more than 30 years. He committed suicide in 1996. Young is a member of the Country Music Hall of Fame. Honey, I'm lonely. I miss you so much! While I learn to walk without you. Twenty Three more long unhappy hours alone.